I've been playing around with some ideas for my November 27 Christmas Card class and kinda cased this idea from a friend. Well, I only cased the circle layout. And since my gals, like me, have oodles of different colors of Stickles, Xmas Red on the buttons. 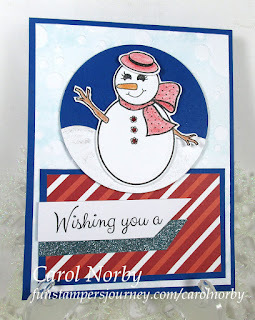 Did you notice the snowy background? I applied my Pool Play ink pad to the embossing folder before carefully putting the piece of card stock in it and embossing. I'm really liking this (new to me) technique! I have been a crafter from 1st grade and my mom was my encourager. 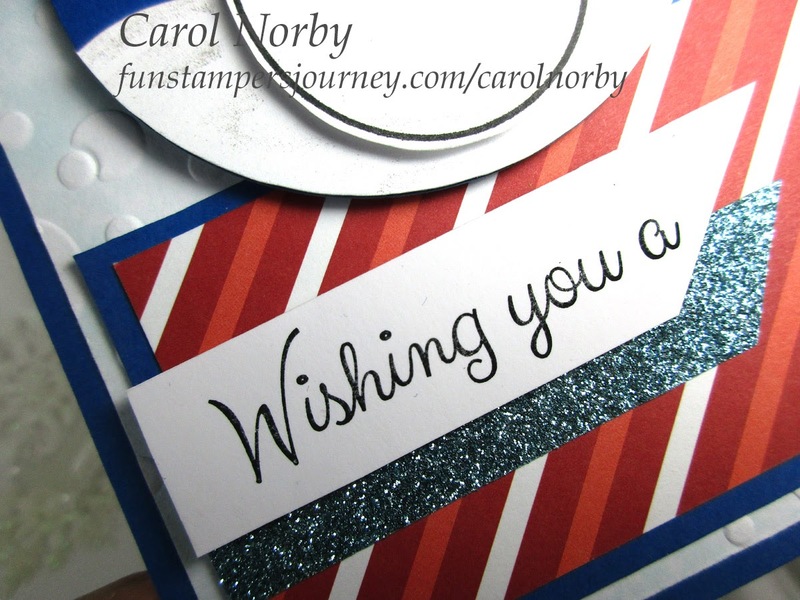 About 20 years ago a friend introduced me to stamping and card making and I was smitten. Then in 2002 I joined a company & community under her which accelerated my love and joy of sharing with others through teaching monthly classes in my home. January 2015 I joined Fun Stampers Journey though a friend (after 6 months of internal debate) as a hobbyist after I quit teaching at a local scrapbooking store. I love the products and the family I have joined. 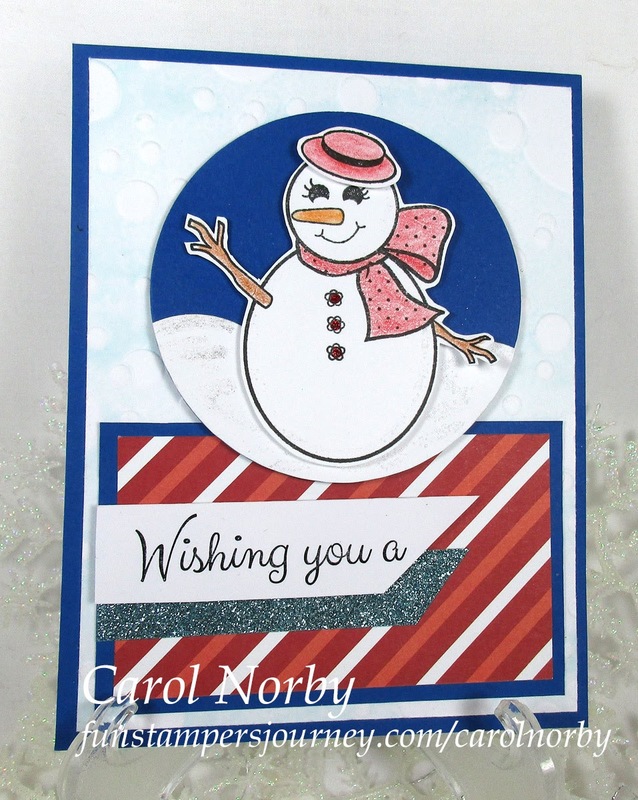 I now have a great and growing team and teach monthly classes again to share my joy of stamping.